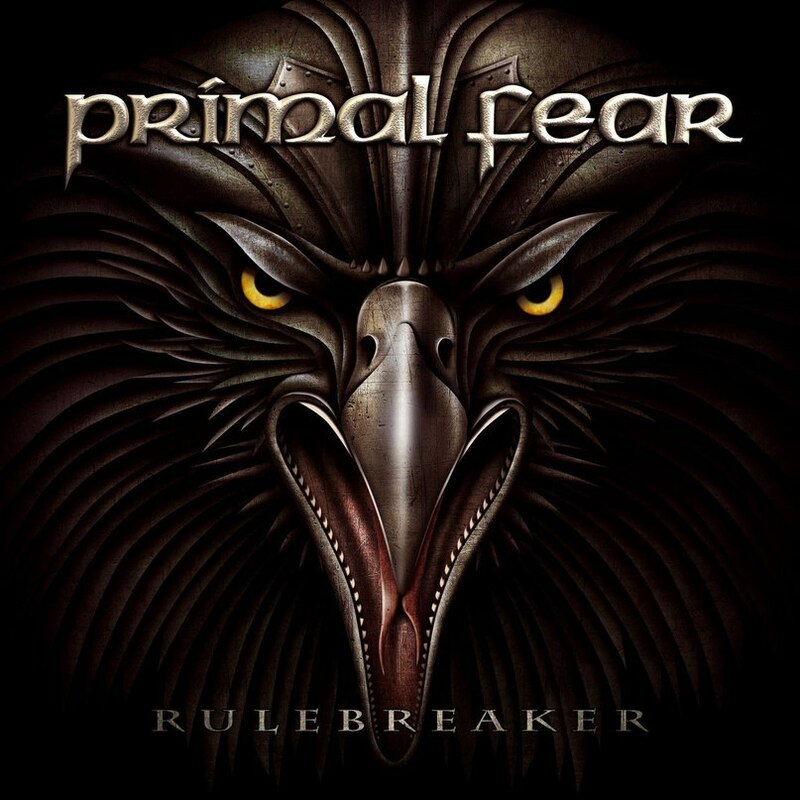 Primal Fear the Teutonic band with less than twenty years in their history, return this year with their eleventh full length, entitled "Rulebreaker", I can define this album in few simple words this is an intense dose of power metal, forget everything else they are not reinventing the genre, instead they are keep on rolling with metal anthems, with their typically consistency at songwriting, drenched in catchy and powerful riff alike Judas Priest, so you can have a clear idea of what I am talking about. The facts that secure this album as one of the most representatives within the genre for 2016 are the addition of Italian drummer Francesco Jovino (U.D.O.) 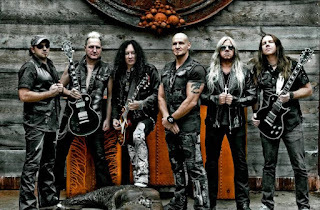 who is replacing Randy Black and the permanent addition of guitarist Tom Naumann, who is back as a permanent member of the band after a long studio break, since their 2005 album "Seven Seals", So! Can you imagine how heavier will they sound? Well, I guess you have an idea if you listen to Iron Maiden, anyway the result is very gratifying, the rest of the band is complemented by Mat Sinner in bass and backing vocals, Ralf Scheepers in vocals, Magnus Karlsson and Alex Beyrodt both of them with Naumann now will share the duties on guitars. Primal Fear has not been able to lose that label which compared them with the consecrated Judas Priest and "Rulebreaker" does not differ at all with the overloaded Halford-esque vocals of Ralf Scheepers or the guitar riffing implied and sassy, which resembles the British sound, however I have to admit it, somehow I enjoyed it! This is something, that undoubtedly will make you move your head and rise your fist with the horns up, "Angels of Mercy" welcome you with a stunning intro it seems to be taken from a science fiction movie, that rapidly turns up with a heavy, fast riff and thunderous drums give way to the powerful vocals of Ralf Scheepers, "The End Is Near" structured with classic metal riff it is viciously catchy, contrasting thick chorus, support the high-pitched voice, "Bullet & Tears" here is the ear-splitting point because this track is loaded in Priest elements, as well as the ballad "The Sky Is Burning" but they know how to handle the thin line between both distinctive sounds, "Rulebreaker" has some good riff to hook you up, while the bass tunes by Mat Sinner are quite solid, "In Metal We Trust" is another anthem with fast riffage and delirant choruses aiming to inflict a special vibe in their live shows, "We Walk Without Fear" is an outstanding cut, the length allows them to play with varied paces and moods, the riff come and goes in a simple manner without rummage, tracks as "At War with the World", "The Devil in Me" or "Constant Heart" won't let you down at all, every song has its momentum, soaring vocals, melodious choruses, powerful guitars supported by the impressive and blistering drums by Francesco Jovino, the closing track is "Raving Mad" started off with singular pattern drums and a very simple but effective riffing along the song, which allows Ralf to scream freely up to the sky. Primal Fear has proven over the time their qualities at songwriting and "Rulebreaker" carries with it a handful of tracks that will become in their classics sooner or later, is just a matter of time, for sure this is an album you got to listen, especially if you are in the mood to enjoy such display of energy, fantastic melodies and powerful guitars riff with a hell of drum grooves and soaring screams, definitely a great album!